You can look at the Woo Audio SET monoblocks one of two ways: a dreadfully overpriced $16,000 headphone amplifier, or a $16,000 pair of SET monoblocks that give you output tube flexibility (45, 2A3 or 300B output tubes are accommodated) that eclipse a pair of $125,000 Wavac SET amps with a free headphone amp thrown in. I’m not a big headphone guy, so I choose the latter option. The Woo 234s are by far the most engaging, most musically revealing headphone amplification system I’ve ever experienced. Nothing makes headphones sing like these monoblocks! As I listen to Brand X’s Livestock, the Audeze LCD-3 phones on my head (or whatever phones I am using) disappear, coming closer to the sound of speakers in a room than anything before or after its time here. Mike Liang from Woo was kind enough to send a pair of the $5,500 Abyss AB-1266 phones with the monos, so I could have the ultimate headphone experience. Who knows? If I had a pair of these, I’d probably listen to headphones more often. The only time I’m not as convinced I’m listening to speakers is with heavy-duty house/dub/electronica – there’s just no headphone on Earth that really delivers the slam that this kind of music deserves. However, sitting on one of my REL G-2 subwoofers while I’m cranking the 234s comes pretty close. Dare I say, the 234 MONOs are even more beautiful to look at than they are to listen to, and they were a ton of fun to photograph. The finely machined aluminum chassis, combining black and clear anodizing over its subtle curves, is a work of visual as well as audible fine art. These tubed beauties deserve a place of honor and high visibility in your listening room. Going beyond what any other headphone amplifier has done in terms of output tube choices, the 234 MONOs feature a Tube Switching Key (TSK) that repurposes the amplifier to use tubes from three different groups: the 45 tube, the 2A3 and the 300B. Each one of these tubes has a distinct sonic signature, along with the variations on the theme with different models from different manufacturers. Try that with your hundred thousand dollar Wavac. If that weren’t enough, Woo also provides Output Switching Keys (OSK) to configure and optimize the monoblocks for speakers or headphones, with yet another OSK for plate or cathode mode, accommodating high- and low-impedance headphones with ease. If you have a huge headphone collection – and you should if you’re going to spend this much money on a headphone amplifier – rest assured the 234 MONOs would work well with everything. Under the hood is a full class-A, SET design with a 274 rectifier, and a 6SN7 driving your choice of output tubes. In addition to the output tube choices the 234 MONOs offer, tube rollers will be swapping tubes from here to eternity. Those with prodigious tube collections will be amazed at the gradations of performance that will be able to be coaxed from these amplifiers. A good friend bringing over a few vintage Western Electric 300B and RCA 2A3 tubes opened a universe of sonic possibilities. The rest of us will easily enjoy the 234 MONOs with the tubes they ship with, but those willing to spend a few thousand more dollars on vintage NOS tubes await even more joy. Again, Liang is quick to point out that they suggest the Sophia Royal 300B and Takatuski 300B for use with lower sensitivity speakers, claiming a higher load capacity and faster recovery. Best of all, these tubes are readily available, but they will not provide a higher power output. Extended use of the 234 MONOs convinces me that the headphone amplifier is the critical component in the chain. Much like the way a budget phono cartridge on a fantastic turntable always sounds better than a big dollar cartridge on a mediocre turntable, this headphone amplifier will make all of your headphones sound better – much better. The Woo 234 MONOs have so much drive and control, they eliminate a lot of the anomalies that you’ve probably been mistaking for frequency response problems in the past. Think of the 234 MONOs as the anchor to your headphone experience. After going through my collection of phones from Audeze, Oppo, AKG, Grado and Koss I was shocked at how much better, how much smoother and how much more dynamic every one of these phones that I thought I knew well now sounded. The change was not subtle, with even the $99 Grado SR-60is sounding much more authoritative and much more expensive. It remindes me of running the $95 Shure M97 cartridge on the $30,000 VPI Classic Direct turntable – I’ve never heard that cartridge reveal that much music, but on the VPI it shines. Even the notoriously edgy Grado GS-1000s and Sennheiser SR800s were smooth, extended and much more natural in their tonal perspective when driven with the Woo 234 MONOs. Just as you would with the output taps on a tube power amplifier, regardless of what your speakers are rated, I suggest experimenting with the OSKs as well. You might just find a combination you prefer to what your intuition tells you. It’s wonderful that Woo provides so many options. The 234 MONOs are a mega headphone amplification system; anyone possessing a high efficiency pair of speakers will be absolutely smitten with these amplifiers used thusly. As amazing as these amplifiers perform with headphones, they provide an otherworldly experience with the right speakers. To clarify, the “right” speakers for a low power SET amplifier means either a single driver system, a high sensitivity horn system, or high sensitivity multiple driver system. It’s worth noting that not all multi driver speaker systems work the same way, even though one may have a higher rated sensitivity than the other. The typically higher output impedance of an SET makes it a little tougher to match perfectly with a speaker system, and the complexity of said speaker system’s crossover network can be problematic for the SET to drive because of the associated impedance swings. However, if you find a speaker that does not have this issue, you will find yourself in heaven on playback because the SET design accomplishes two things. First, the simple circuit topology means fewer components in the signal path, leading to a purer transfer of information. Secondly, by nature, the signal passes through a single output device, which is on continuously, eliminating the crossover distortion present in a push-pull amplifier. SET amplifiers possess a magic, much like pure class-A amplifiers do, and perhaps even a little more. The 234 MONOs are among the finest SETs I’ve ever heard at any price. Lining up a few great highly efficient speakers produced fantastic results all around. Whether I was listening to the tiny Blumenstein Audio Orcas, or the Avant Garde Duos, the 234 MONOs are absolutely thrilling to listen to. No matter what my musical choices, there is always an epic amount of inner detail on tap. The acoustic guitar intro on Graham Parker’s “Tough on Clothes” hangs in the air as Parker’s signature gravely voice enters the mix. On a lesser resolving system, Parker can sometimes sound like John Hiatt, but not here. Again, that SET magic that I keep telling you about comes through in spades when you listen to Crosby, Stills and Nash, Crowded House, Little Village or Todd Rundgren’s Utopia. All four of these groups have multi-part harmonies with vocalists who blend well together. Yet through the Woo amplifiers (headphones or speakers) each of these vocalists maintain a distinct space, sound and presence. I’m sure you have a few records in your collection where you often thought there was only a layer or two of vocals, yet laid bare with these SET amplifiers is a true revelation. It’s almost as if these amplifiers live and breathe with the music, presenting sound in such an organic fashion, they will fool you into thinking it’s the real thing with the right recording. Like every SET, the Woo does have its limitations, and large scale, overly complex classical or rock music at high volume is where the 234 MONOs fall a little short unless you have super efficient speakers like the Avant Gardes. When you run out of the available power, you feel it instantly with a complete collapse of the soundstage. Keep the 234 MONOs in their comfort zone though, and you will be rewarded with musical nirvana. With the right speakers, you may never want to leave. Thanks to a pair of single-ended RCA inputs and an XLR, you can easily skip the preamplifier, making the Woo an even better value. With top shelf preamplifiers from Pass, ARC, Simaudio and Koda, I felt no need to use them. Pairing the 234 MONOs with the $110k dCS Vivaldi digital playback system proved stunning, regardless of output configuration. 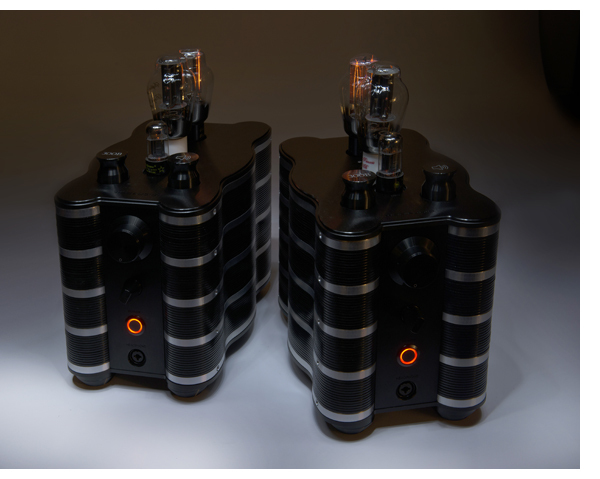 A world-class headphone amp, or…? I’m hoping by now you know I’m completely smitten with the Woo Audio 234 MONOs. But the question still remains: are they the world’s best headphone amplifier? Until I hear something more amazing, they certainly are to me. 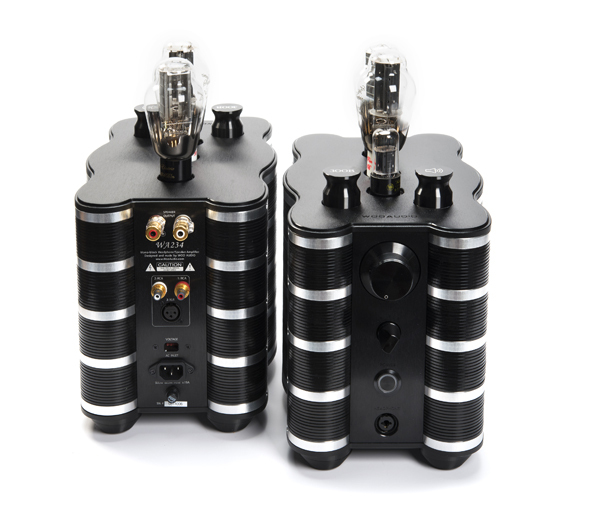 $16,000 is absolutely crazy money for a headphone amplifier, but it’s all relative. If you love headphones, have multiple pairs that you cherish and a world-class source or two to provide music, there’s no other way to play the game. Those living in the high efficiency speaker world who don’t need to have the prestige of a six-figure amplifier and preamplifier will find the Woos to exceed any expectation they might have, and the $16,000 price tag a stellar bargain, with an amazing headphone amplifier thrown in. 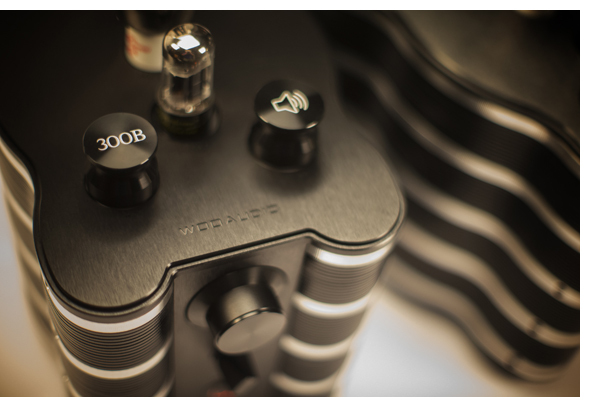 So whether you want the world’s finest headphone amplifier, or the world’s best value in a pair of high performance SET monoblocks, the Woo Audio 234 monoblocks should be at the top of your list. Buy a pair now before Jack Woo wises up and starts charging $50k for a pair of these!